I’d still like to take out a bunch of that texture, but wetsuit/basketball rubber is the new superhero-in-leather of the moment, so I’m leaving most of it, smoothing it just a bit, and bringing up the colors to what they should be. 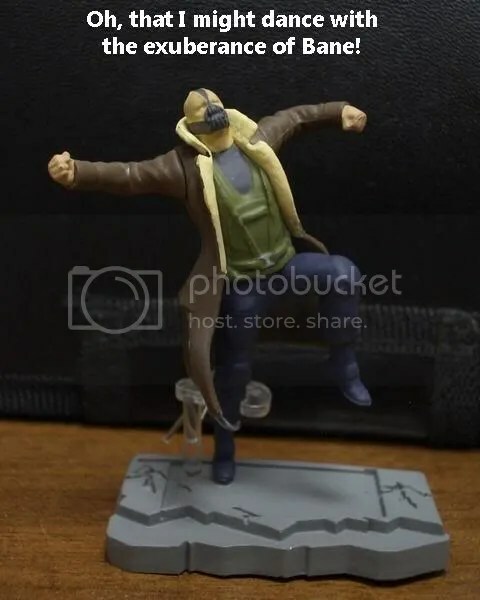 Alright, so we’ve all heard the ridiculous story of Abin Sur crashing on Earth, and eventually dying from the injuries suffered in that crash. And, it looks like they are going to continue this charade in the upcoming Green Lantern movie staring Ryan Reynolds. We here at the Steve Austin Book Club have uncovered the truth, and in our tireless efforts to keep you, our loyal readers, informed, we offer this never-before-seen bit of comic book history that was covered up by the Powers That Be! 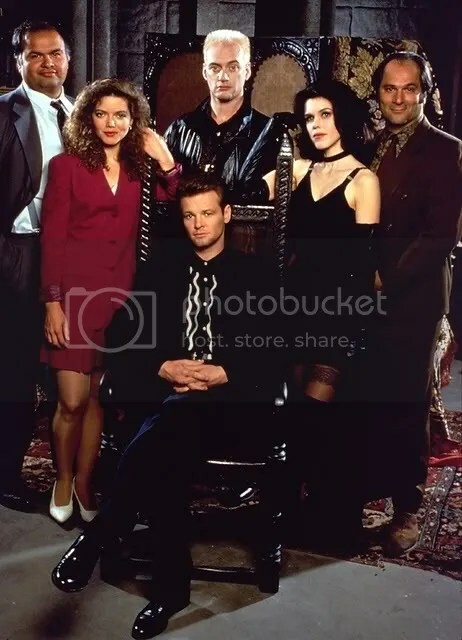 As we continue our Vampire Week celebration here at The Steve Austin Book Club, today we are going to take a look at the rise and fall of a TV show that EG dearly loved – Forever Knight. 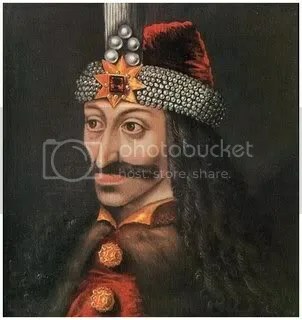 He was brought across in 1228 – preyed on humans for their blood. Now, he wants to be mortal again … to repay society for his sins … To emerge from his world of darkness … from his endless Forever Knight. 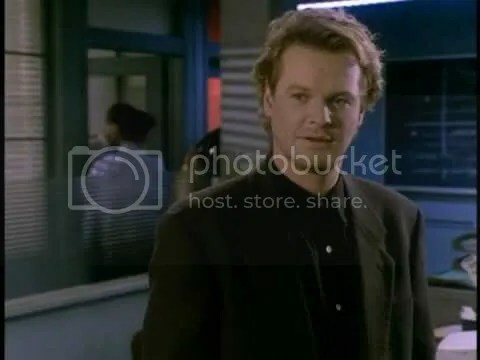 Starting in 1992, each episode of Forever Knight opened with those words. A nice, succinct way to let folks know what the show was about. But, for the beginning of this show, we really need to look earlier… not 1228, but 1989. And, here is where I show my age. One Saturday night, as I was flipping through the channels, I came across a television movie on CBS. 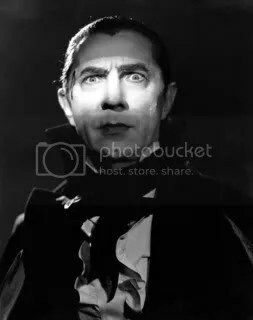 It was a vampire movie (which hooked me) called Nick Knight. In this movie, Rick Springfield (attempting to escape soap operas) played Nick Knight, L.A. cop and vampire. After centuries of giving into his vampire ways, Nick was trying to cure himself. 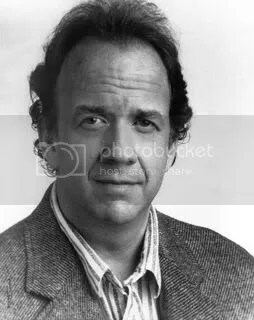 Helping in this effort was Dr. Jack Brittington (Robert Harper), forensic pathologist and the only one who knew what Nick truly was. 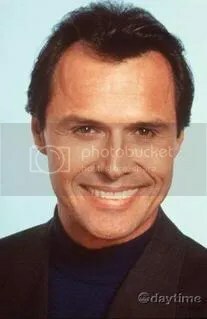 He was advising Nick to live as a human in order to become human – eating real food, no longer drinking blood, and exposing himself UV light via tanning beds. Nick was also seeking out some magical goblets that could cure him. 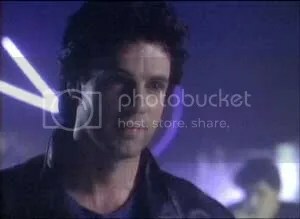 Through the investigation, Nick comes to believe that Lacroix (Michael Nader), the vampire that sired him, is responsible. I won’t spoil the movie any further. Overall, I enjoyed the movie, but it wasn’t anything spectacular. And, though it was supposed to launch a TV series, that never happened. In 1992, CBS was desperate for some sort of late night programming to go against the Tonight Show and Nightline. After going through a bunch of hosted, Tonight Show-esque programs (one of which starred Wheel of Fortune’s Pat Sajak), CBS decided to switch gears. The result? Crimetime After Primetime. Crimetime After Primetime was a schedule of different hour long crime shows that aired, each airing once a week. 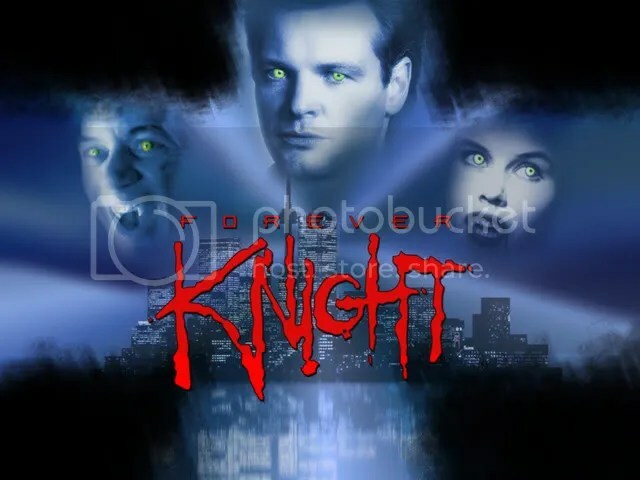 The only one worth mentioning (at least, in my opinion) was Forever Knight. Forever Knight was Nick Knight revamped (totally didn’t realize the pun, but I’m leaving it, so there!). 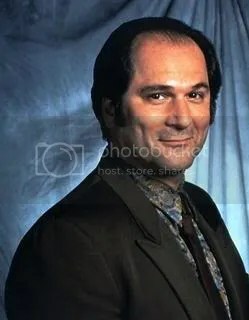 Of all of the cast, the only actor to return from the original pilot movie was John Kapelos as Detective Don Schanke. Nick Knight, now played by Geraint Wyn Davies, was now a Toronto cop and vampire. The basic idea of him seeking a cure and redemption continued in this series. Dr. Jack Brittington became Dr. Natalie Lambert (Catherine Disher). The role of Lecroix was taken over by Nigel Bennett. Though production values were lower on the series than for the original pilot, across the board, I thought the level of acting went up. Almost immediately, the show garnered a devoted fan base. Unfortunately, CBS was soon to drop the entire Crimetime After Primetime format, after securing David Letterman for their late night programming. 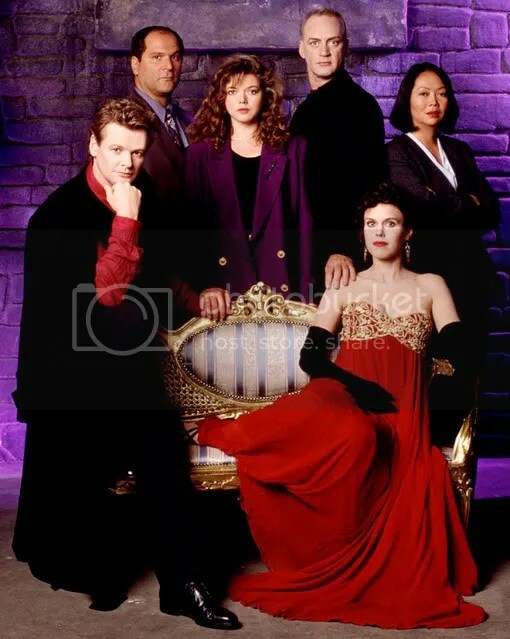 The voice of the fans was heard, though, and Forever Knight was continued in syndication. The show’s popularity continued to grow in syndication through the end of the second season. And, then, the writer’s saw Interview with the Vampire. With the third season, major changes came. 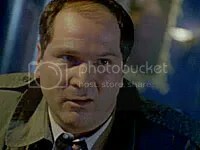 It was announced that John Kapelos would not be returning to the series (no more Schanke… *sigh*). It was also announced that Deborah Duchene’s role of Janette, vampire confidant of Nick, was also being eliminated. Lisa Ryder, as Detective Tracey Vetter, came in as Nick’s partner. 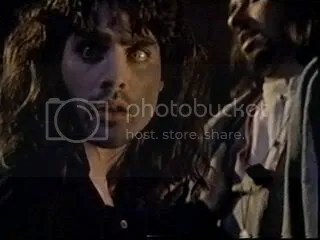 Along with her, came a new, Lestat/Louis-esque vampire named Vachon (Ben Bass). More and more, the focus of the show shifted toward the new characters, and the storylines seemed to be drawing from the same well as the well-known Anne Rice Vampire novels. And, perhaps for the best, after three seasons and a radical change in the direction of the show, Forever Knight ended. I do miss the show, but not what it was becoming. If the show had maintained the quality level that it had in the first two seasons, I would miss it more, but I’m pretty sure if it had continued the way it was headed, I would’ve dropped it. 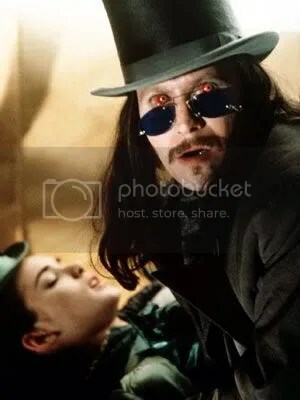 Still, it is a good idea, and maybe, given the prevalence of vampires in primetime and movie theaters, we’ll see the concept revived yet again. Darren and Steve are best friends. They are also opposites in almost every way. Darren is the good kid, works hard in school, makes good grades, etc. 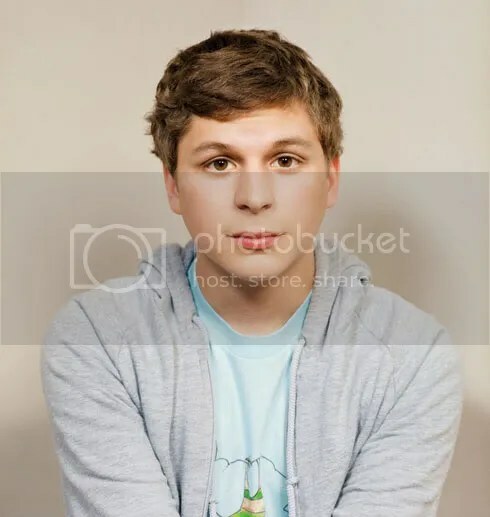 Steve is the teenage punk from a troubled home that is apt to get into trouble. After finding a flyer for a traveling circus of freaks, the two decide to attend… and both of their lives are transformed. 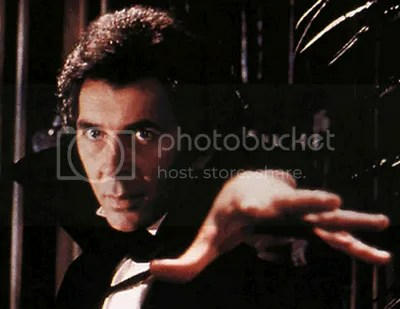 During the show, Steve recognizes the magician to be a vampire from one of the many books he has on the subject. Darren, on the other hand, is far more interested in the unique spider that works with the magician/vampire. When the show is broken up by local citizens and police, Darren and Steve are separated. Darren finds himself outside the dressing room of the magician/vampire, and decides he wants to see the spider again. Inside he finds the spider, but hears someone coming down the hall and grabs the spider and sneaks into the closet. The magician/vampire and a friend step into the room and shortly thereafter… and so does Steve. 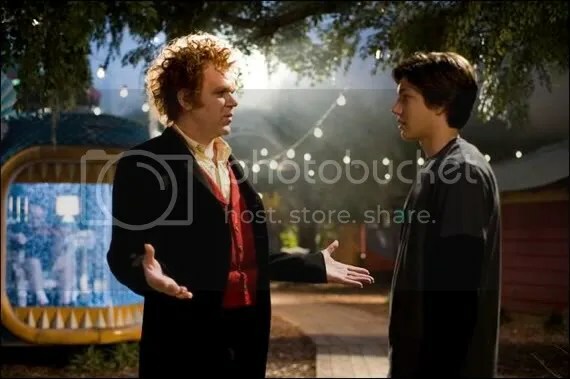 Steve confronts the magician/vampire, and tells him he wants to be made a vampire, that he has nothing else to live for. 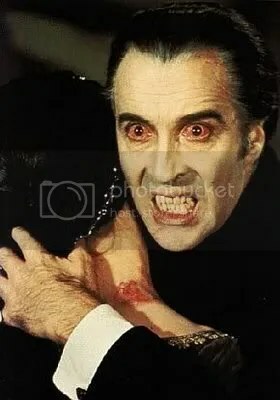 The vampire sends him away. When he gets the chance, Darren makes a run for it, and goes home, with the spider. The next day, Darren takes the spider with him to school and meets up with Steve. The spider, accidentally freed from its cage, bites Steve, leaving him near death. Darren makes his way back to the theater where they saw the show, hoping that the vampire can help Steve. The vampire makes a deal to help Steve, in exchange for Darren becoming his assistant… and a half-vampire. Thus begins Cirque Du Freak: The Vampire’s Assistant. 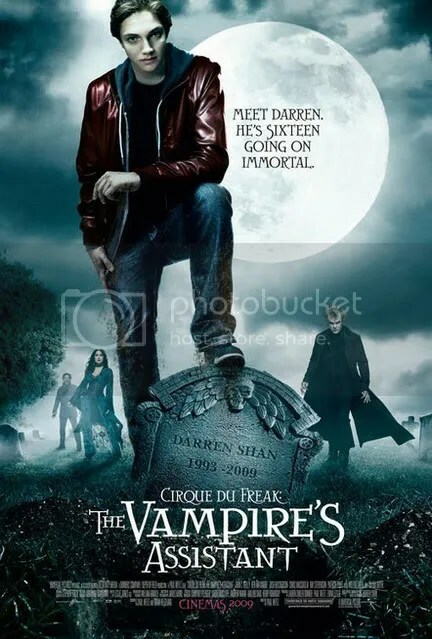 This movie is an obvious foundation for other films planned for a series based on the Cirque Du Freak books, which is both good and bad. Good, in that it is trying to establish a world and we are introduced to a lot of characters so that we get a feel for that world. Bad, in that many of those characters are given little time to truly establish themselves. 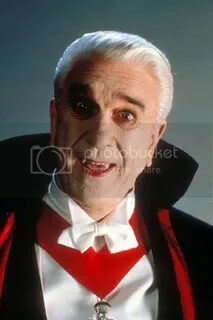 But, if the film does spawn the sequels, that will be forgiven, perhaps even lauded as we don’t have to deal with the problems of introducing so many characters with each subsequent installment. The real basis of the story, though, is the rivalry between two sets of bloodsuckers – the Vampires and the Vampanese. Vampires, in this setting, are the “good” guys – they still drink blood, but they only sedate their victims, they don’t kill them. The Vampanese, on the other hand, are violent and bloodthirsty, and power hungry. There has been a long tentative peace treaty between the two groups, but it is now threatened. I’ll admit that I knew nothing about this film going in. I had seen one commercial for it, and decided to see it just because of the planned theme for this week. And, though the film had a lot of faults, I was pleasantly surprised overall. And, sure enough, I’m not the audience for this film. I can’t imagine rushing out to get the DVD for it when it comes out, or even going out of my way to see it again… but I did find it enjoyable. Yeah, I could talk about the shortcomings of the film all day. 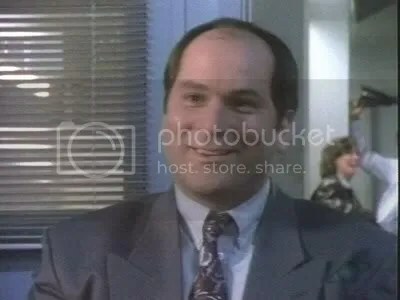 I could tell you that Chris Massoglia, who plays Darren, is essentially a clone of Ashton Kutcher and that his performance seemed disengaged. I could complain that the other freaks of the Cirque didn’t get anywhere near enough screen time, and that the large number of name actors were generally wasted in the film. But, you know what? That is a bunch of nitpicky kinda stuff that, while accurate, didn’t really stop me from enjoying this movie. The effects for the movie were pretty cool, even if some were a little too obviously computer animated. The makeup on this film was stellar, though, top notch stuff that really made this world come alive. 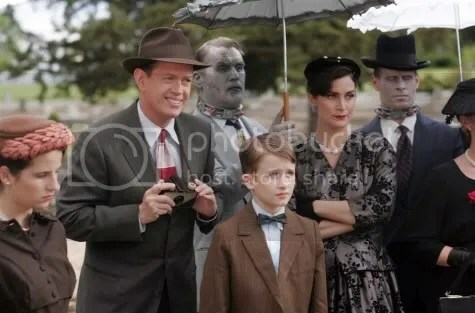 And, though they had limited screen time, the cast of freaks were really good. Jane Krakowski as Corma Limbs was bizarrely perky. Orlando Jones as Alexander Ribs was… well, Orlando Jones. (Orlando Jones seems to be himself in most things.) Ken Watanabe had an amazing presence as Mr. 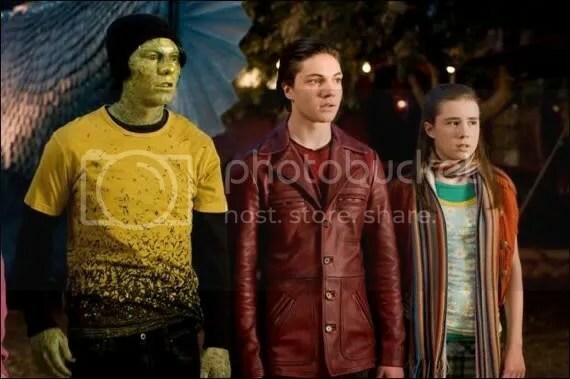 Tall, and Patrick Fugit was so fantastic as the Snake Boy that I’d like to see an entire movie based on that character. 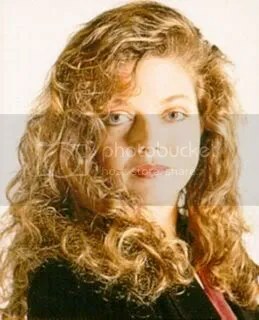 And, there is Salma Hayak… being all Salma Hayak and hot and all. 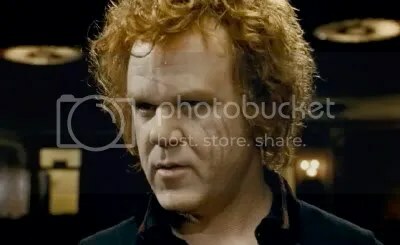 The most amazing performance for me, though, had to be John C. Reilly as Crespley, the vampire. The role is so completely against type for him, but he manages to completely own it. 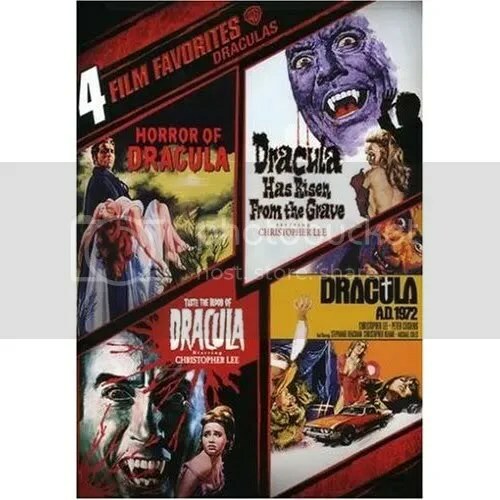 His turn as the weary, cynical vampire is enough for me to recommend this movie to anyone I know. He delivers some of the best lines in the film that range from dark, wry humor, to an almost sad melancholy, and delivers them well. 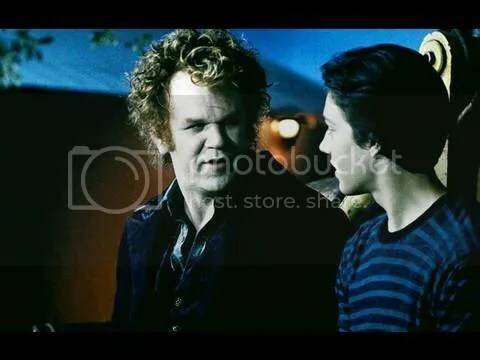 Honestly, other than when he appeared on Late Night with Conan O’Brien and tore into Kevin Costner about when they both were doing For Love of the Game, this is my favorite thing John C. Reilly has ever done! For me, this movie was an unexpected treat. It won’t appeal to everyone, as it is definitely aimed toward mid-teens, but it wasn’t bad. In fact, I’ll go so far as to say that I wouldn’t mind seeing this film get some sequels, if only to expand on this world and to see the actors in supporting roles get a chance to shine. 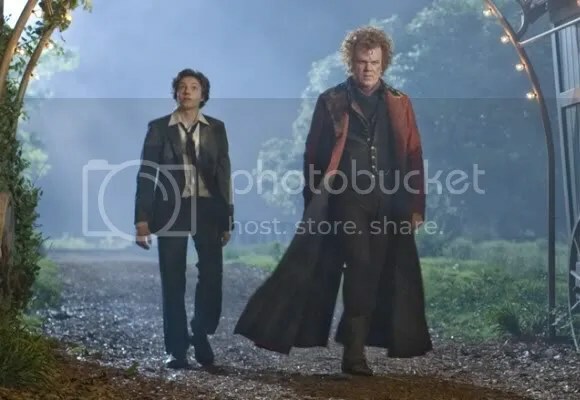 I’m giving Cirque Du Freak: The Vampire’s Assistant three out of five Running Steves. If nothing, this film has made me want to seek out the series of books on which it was based. Alright, peoples, you’ve waited long enough to hear about this one! The Steve Austin Book Club is back, and more extreme than ever! Or, perhaps that is Xtreme! Mayhaps we should rename ourselves The Xteve AuXtin BooX Club, as an indicator of our new hip and happenin’ ways! 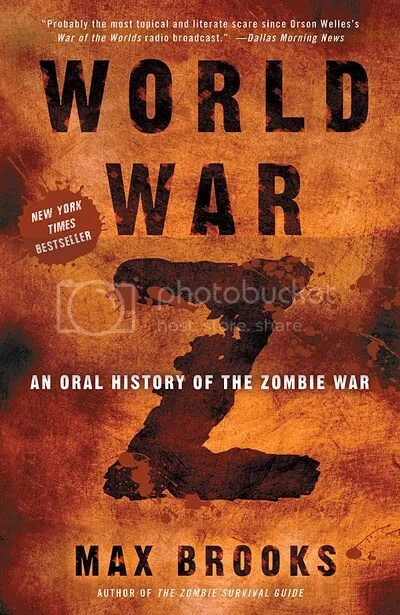 Anyway, this is the review of World War Z: An Oral History of the Zombie War by Max Brooks. This review is apt to spoil the book, so if you haven’t read it and want to, you may want to skip this. There will be SPOILERS-A-PLENTY! If you have read the book, feel free to leave a comment! Now with the preliminaries out of the way, sit back and enjoy! World War Z is a collection of the post-Zombie War rememberances of indidual survivors throughout the world. It is ten years after the official end of the war… a time to look back. The book is presented in a series of personal stories/interviews with individuals discussing their roles and reactions as the world was plunged into a panic and near extinction of the human race. Using these personal stories, the audience follows as the events of the Zombie War are revealed in pieces, from its start within the borders of China, to the various steps taken by governments throughout the world in attempts to protect their borders, through battlefields where traditional tactics are found lacking, to the eventual steps toward survival, which rely on plans for each nation to virtually abandon most of their citizens. The stories come from average individuals, politicians, military personnel, corporate leaders, slackers, etc., etc., etc. And… that’s about the sum of it. Let me start this by saying that the concept of this book is genius. I loved the premise and the style used. As an avid fan of the History Channel, I could really see this story being told through the account of eye witnesses just as much of their programming does. If there is any downside to that, it is that I think that this is one of those few occassions where the upcoming film based on this book may surpass the book in effectiveness. Why? Because the biggest complaint I have about the book seems to be a near universal complaint about it – while we are told that the stories come from various individuals, the vast majority of the stories are very much in the same voice, seemingly from the same individual. That is why I think the movie has the advantage. The various actors will lend their own spin to each vignette, allowing the audience to see a greater variance than what was afforded in the book. I did appreciate the fact that the author knew his audience. Very little time was spent dwelling on what zombies are and trying to explain them away. Instead, he worked from a standpoint of “the people that pick this book up know what these creatures are.” It was nice to not have the lodestone of origin dragging the book down. There also seems to be a real lack of knowledge about military weaponry. The idea that modern weapons would be less than effective against the undead is really hard to believe. The shrapnel described in the book always somehow managed to avoid hitting the zombies in the head. There is a reason that the militaries of the world issue metal helmets to their soldiers. I can go along, to some extent, with the laughable actions of government during a situation like this, but the overall political commentary in the book is hack-kneed and blunt to the point of near rhetoric. Everything is too surface, no depth. I was also unimpressed with the two types of people that we were presented with in the book: the noble hero and the scummy opportunist. There didn’t seem to be any other degrees of personality. I understand that a tragedy can be a polarizing event, but there are more shades to people than this, and not having those shades made almost all the characters boring and relatively two-dimensional. Which, now that I think about it and re-read my last complaint, is the problem I have with the book as a whole. For all the supposed individuals “interviewed” in the book, there just isn’t enough to any of them. The characters are flat, which is really what makes them all sound the same. Perhaps if the author had focused on fewer stories, we could have had a more in depth character study of each. People aren’t simply noble or evil… they are far more complicated than that. The book wasn’t terrible, but I expected and wanted so much more from it. As I mentioned, I’m really hoping that the actors in the planned film are able to bring that little extra to this project that is sorely missing in the book. For the potential of this book and the concept, I’m giving it two and a half Running Steves. And, here’s to hoping that the film gets moving from development limbo and into actual production! How to sum up this movie? In a post-apocalyptic world filled with zombies, four individuals join up… sorta… in search of a safe place that at least 75% of them don’t even believe exists. And Twinkies. Oh, and along the way, they learn a little about themselves, family, and they kill zombies. And, honestly, that’s about it. 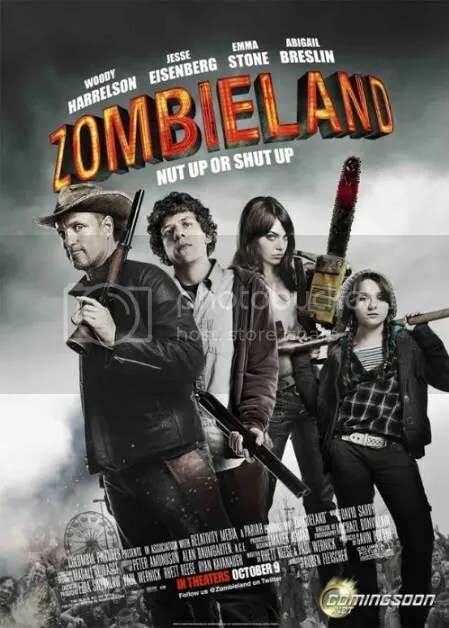 If you are looking for anything more than that, Zombieland is going to be a great disappointment. If you are just looking for a relatively fun film with some zombie killing, you’ll probably like it. But (and, this is where I differ from about 90% of the people that see this movie), if you are looking for a great zombie movie, you’ll probably be a little let down. Parts of the movie were fantastic. 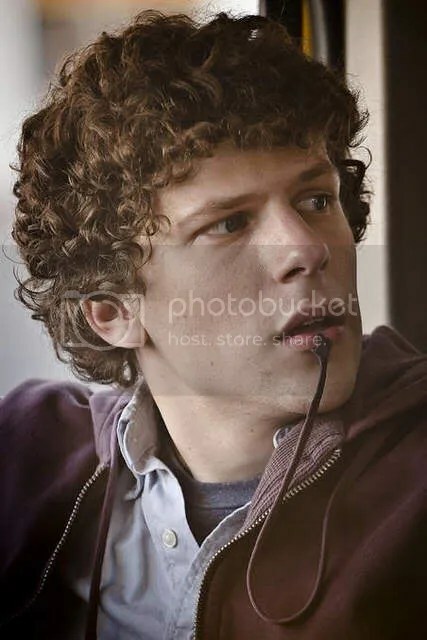 Early on in the film, we are introduced to Columbus (Eisenberg), in all his nerdiness, and his rules for surviving in the new status quo, which is really funny. And, when Tallahassee (Harrelson) and Columbus are in the early stages of their road trip, the film takes total advantage of the contrast between the characters. The comic chemistry between the two was fantastic, and the zombie killin’ they commence to doin’ is top notch and entertaining. If the whole film had been just that, I would’ve enjoyed the whole thing much more. Once Tallahassee and Columbus meet up with Wichita and Little Rock (Emma Stone and Abigal Breslin), though, the focus shifts away from zombies almost altogether to the bonding of the group of four individuals… which isn’t a horrible thing, but it kinda sapped away my enjoyment of the movie in the manner it was shoehorned into the middle of the film. At this point, you get the weakest portions of the movie – a sequence of destruction of a souvenir shop that was pretty “eh”, and the Cameo (which you likely already know about, but I’m not going to spoil). The Cameo was surprising to me (because I was fortunate enough not to have heard a thing about it), but it was also only mildly amusing. And, then you get more character bonding (which is undermined by some less than stellar humor). 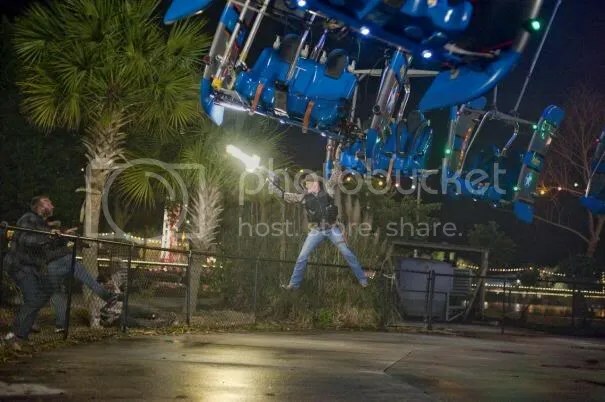 Which then leads up to the big finale, where two of the characters, in maybe the greatest display of stupidity in the entire film, run off to an amusement park and turn every light and noise-maker on, so they can play for a while. This, of course, attracts every zombie for miles around, and the two idiots have to be rescued by the only two other remaining people on earth (okay, we aren’t expressly told that, but it is implied). This rescue, though, lacks the creative and comic sense of the zombie kills early in the film, and kinda seems a little easy, despite the overwhelming numbers involved. I enjoyed the movie as a sort of mindless popcorn film, but I wasn’t as blown away by it as most folks. 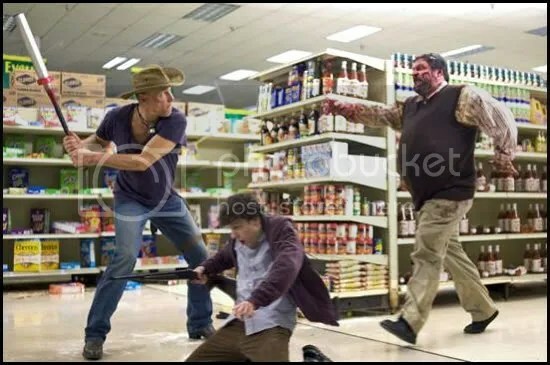 As a result, I can only give Zombieland two and a half out of five Running Steves. I just wish they had kept up the momentum from early on in the film. 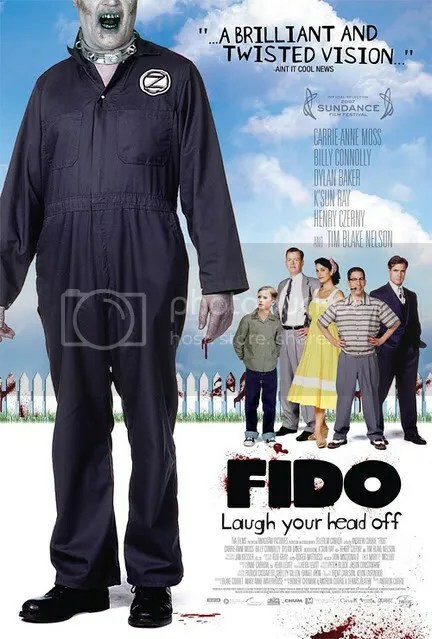 Combining the nostalgia of Leave It to Beaver and the tender mercies of Dawn of the Dead, Fido is the story of a boy and his zombie. In an alternative 1950’s era, the world is perfect in its innocence after recovering from the Zombie Wars (a time when the world was ravaged by space-dust reanimated dead). And, thanks to innovative technological advances, everyone can now even have their very own zombie servants! Sure, every once in a while, a zombie goes bad and has to be taken care of, but folks are prepared. Children hone their shooting skills during the school day, and there is always ZomCom, the company that makes the control collars for the zombies, and their security division that keeps normal folks safe. In the idyllic setting, we meet the Robinsons – Bill, Helen, and their son, Timmy. 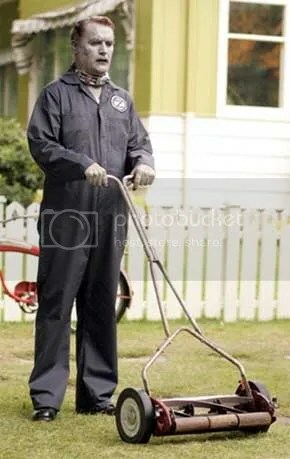 Bill is the responsible father, making sure that each member of his family have a funeral savings, ensuring that they will not revert to zombies after their deaths. 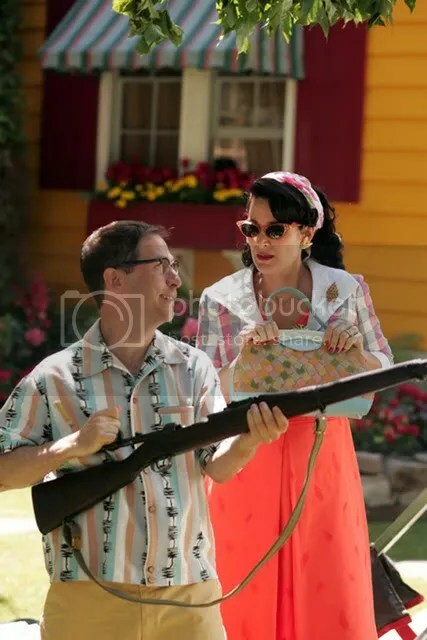 Helen is a loving wife and mother, perhaps a little too concerned with keeping up with the Joneses. And Timmy? Timmy is the average boy, who’d just like to play catch with his dad. Despite Bill being against it (for pretty good reasons when you see the movie), Helen orders a zombie after the head of ZomCom’s security division moves into the neighborhood. After a short period, Timmy becomes truly attached to the zombie and names him Fido. Unfortunately, Fido’s control collar goes on the fritz, and he attacks and kills a neighbor. 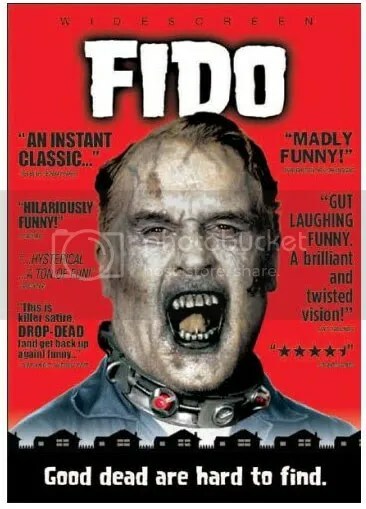 Despite the best efforts of Timmy to keep this under wraps, it is eventually found out, and Fido is recalled to ZomCom. Then, it is up to Timmy to rescue Fido. I have to admit, when I decided to watch this film, I wasn’t expecting much. I had seen the preview, and thought, okay, I’ll give it a shot. 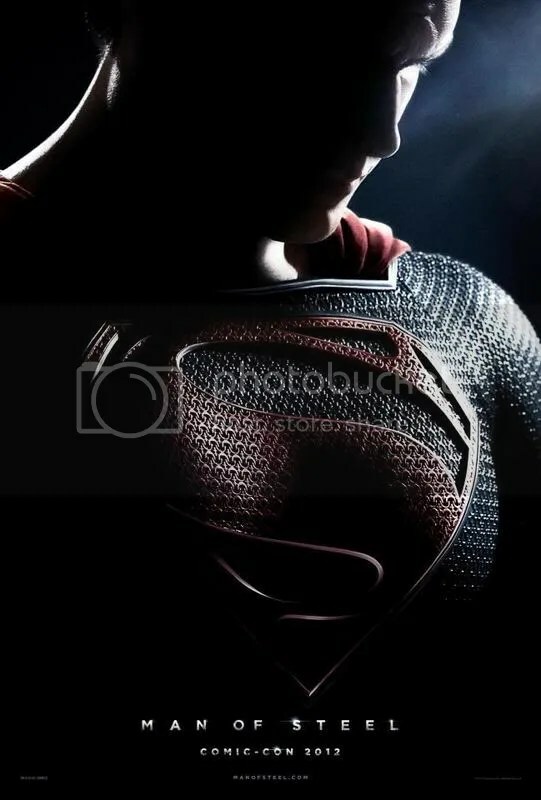 The look of this film is unbelievable. Despite the low budget, the feel is captured every bit as well, if not better, than in most movies that try the same. Everything from the costumes to the houses are era-perfect. It is a beautiful and lush setting, full of bright, synthetic colors that make for a great contrasting look with the zombies, clad in blues and grays to match their skin tones. The acting throughout the film is pretty top notch. I wasn’t annoyed by the kid actor playing Timmy (which is a feat), and Carrie-Ann Moss as the mother was really fantastic, as, perhaps, the most dynamic character of the entire film. Henry Czerny stole every seen he was in as spot-on casting for no-nonsense Head of Security Mr. Bottoms. The delightfully creepy Tim Blake Nelson as Mr. Theopolis, neighbor to the Robinsons, is worth the price of admission! If there was any fault in the cast, I’d have to give that to Dylan Baker, who I usually really enjoy. In this movie, though, he seemed to be the only one playing a bit over the top, which was a contrast to the other actors that seemed to be playing the ridiculous as straight. Still, overall, no major complaints. Which was a fact I didn’t realize until very nearly the end of the film! 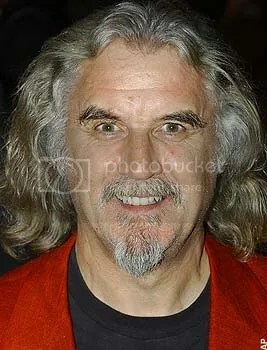 I knew Billy Connolly was in the film, but I just didn’t connect it until late in the movie. For better or worse (depending entirely on your tastes), the gore of this film was very understated overall (especially considering that it is a zombie movie). As a result, if you are looking for a bloody mess of a movie, you’ll probably be disappointed. On the other hand, if you are looking for a zombie movie that non-horror fans might enjoy, this is a heart-warming film (with a nice touch of satire and a bit of gore) that will probably fit the bill. I’m giving Fido three and a half out of five Running Steves. While this film isn’t quite up to the level of brilliance of the amazing Shaun of the Dead, it is certainly high up on the list of wonderful zombie comedies. Check it out if you have a chance!